My Practice is geared toward working Preteens and teens . Dr. Levin specializes in couples counseling. Addictions Do Not Have To Be A Death Sentence...! Help Yourself By Using Good Help. Jennifer Brey, MA, LPC has several years of experience treating adults with substance use disorders as well as survivors of traumatic experiences. She specializes in helping survivors of trauma recover from these experiences. 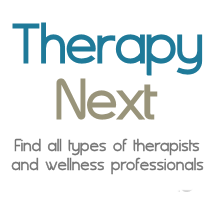 She uses techniques and ideas from varied therapeutic practices, tailoring therapy to meet individual needs. During the past 35 years I have devoted my energy to learning numerous ways to promote emotional health and make healing possible for individuals, couples, and families. i practice holistically, combining trauma recovery theories and treatments with a fundamental basis in Intergenerational Family Therapy, based on Contextual Family Therapy and Family Systems Theory. and Depression. Counseling for Adults, Teens and Families. Why choose Paula? Because I can offer you the path out of pain to a life worth living! Using the knowledge and skills I continue to learn from the brilliant minds in the field, I do deep transformational work that goes beyond "talk therapy." Tools like neuroscience and EMDR offer healing in short therapy time. Master Your Emotions…You Just Haven’t Been Shown How. Get tools to survive fights, affairs and poor communication. I understand beginning therapy is not an easy decision to make, but the result can lead to a life-changing experience. It can become overwhelming when the stress and worries in our lives become insurmountable. It can leave us feeling immobilized and sometimes depressed. We can become tired of talking about making changes in our lives but not know what direction to go.